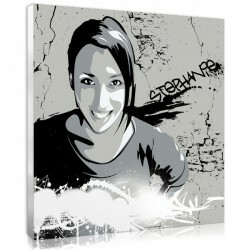 For a unique decoration on your walls, choose the custom graffiti portrait. The urban symbols of our graffiti styles creation will give to your interior a really underground atmosphere. 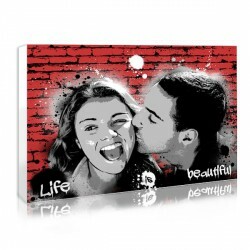 Give us your most beautiful photo and we will put together a custom graffiti painting. Tags, graffiti, stencil, displays, as many techniques illustrated by our graphic designer to convey your message in an unusual way! Our street art portrait models are either in the form of a silhouette glued to a brick wall or a spray painted face. 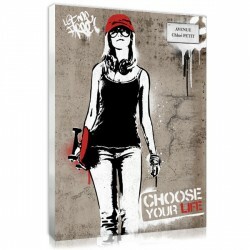 The street art sublimated by legends like Banksy will bring a trendy urban touch to your decor. In the same way of street art, here is the portrait with a stencil art touch.